When's the best time to go swimming? If your best friend is a baby elephant named HanSa, the answer is whenever HanSa says so. 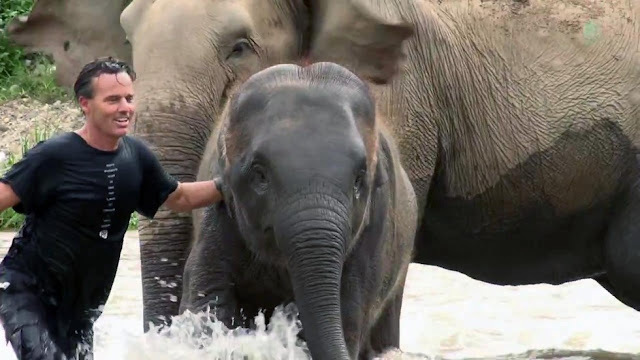 Last year, staff at Thailand's Elephant Nature Park documented the special bond HanSa shared with a worker named Darrick, uploading a video of the two frolicking in a river to YouTube. "She wants to go swimming," explained Darrick at the time. "Yesterday, she came up really wanted me to go swimming with her and she was upset that I didn't." Fortunately for HanSa, Darrick was able to make her wish come true. And fortunately for us, it was all caught on camera. Elephant Nature Park is an elephant rescue and rehabilitation center in Northern Thailand where you can volunteer and visit to help. They have been involved in dozens of rescues which have created their thriving elephant herd. The park provides a natural environment for elephants, dogs, cats, buffaloes and many other animals under care. 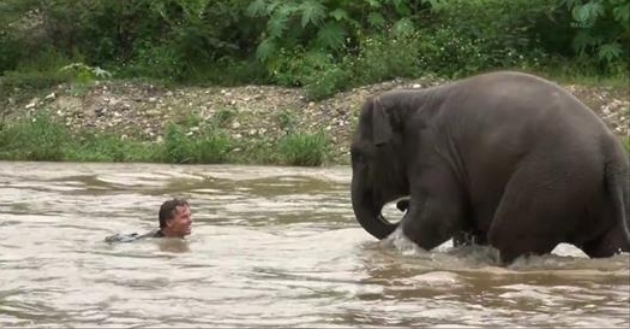 Responses to "Happy Baby Elephant Takes Swim With Human Best Friend"